The term “organic agriculture” tends to evoke the image of a verdant, small-scale farm, its friendly, overalls-clad caretaker kneeling among his rows of leafy chard to individually pluck them of pests. A delicate and labor-intensive operation that might produce a handful of lovely CSA baskets, but probably won’t go far towards feeding large numbers of people. Conventional farming—the method that busts out the big guns of pesticides and fertilizers to dramatically boost production of fruits and vegetables—has long been touted as the true way to feed a growing world population, while organic has traditionally been dismissed as a viable option for large yields of food. But a new study has demonstrated that the yield gap between organic and conventional is much, much smaller than was once thought. Last month, researchers at UC Berkeley’s Food Institute produced a systematic overview of 115 already-published studies examining yield differences between the two systems of farming. They found that when these studies were averaged out, the results demonstrated that organic yields are only about 19 percent lower than conventional ones—a significantly smaller difference than was once thought. The study also pinpointed specific methods that could be used by organic farmers to further shrink that yield gap. The lingering perception that conventional agriculture is better suited to feeding large numbers of people is mostly due to the so-called “Green Revolution,” a series of advances in large-scale agricultural technology that took place mostly in the 1960s. Led by biologist Norman Borlaug, aka “the man who saved a billion lives,” these advances focused heavily on the intensive use of newly developed pesticides and synthetic fertilizers. The crops they were used on, particularly wheat, became dramatically more productive and, when grown in huge quantities, were exported to developing nations such as India where they fed enormous numbers of previously starving people. Between 1950 and 1984, the Green Revolution increased the world’s grain production by over 250 percent. It’s indisputable that chemically intensive Green Revolution agricultural methods have dramatically boosted food production. But as Claire Kremen, co-director of the Berkeley Food Institute and lead author of the study, told me, at this point most of the high-yield grains are actually being fed to livestock, not to humans. “There’s certainly been a big push by the industrial agricultural complex, if you will, to promote themselves as feeding the world,” Kremen said. “But actually, most corn and soy is used as feed for animals. So those claims about solving world hunger are really quite exaggerated,” she said. Plus, as the Berkeley study also points out, Green Revolution agriculture has often been criticized as unsustainable. Not only is it heavily dependent on ever-dwindling fossil fuels, but it’s also losing efficacy over time. Synthetic fertilizers’ ability to increase crop yields has been declining, the paper’s authors say. “This is a well-documented phenomenon,” Kremen told me. “When you just pay attention to nutrients”—the nitrogen and phosphorus used in most synthetic fertilizers—“and not the structure of the soil and its health, that soil environment becomes much less complex,” she said. And biodiversity is key to productive crops. 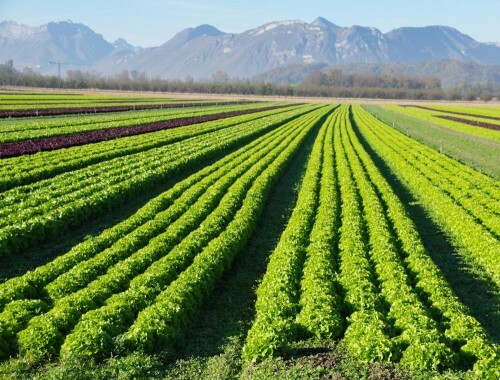 Read the full story via Organic Farming More Productive Than Was Thought | MUNCHIES.